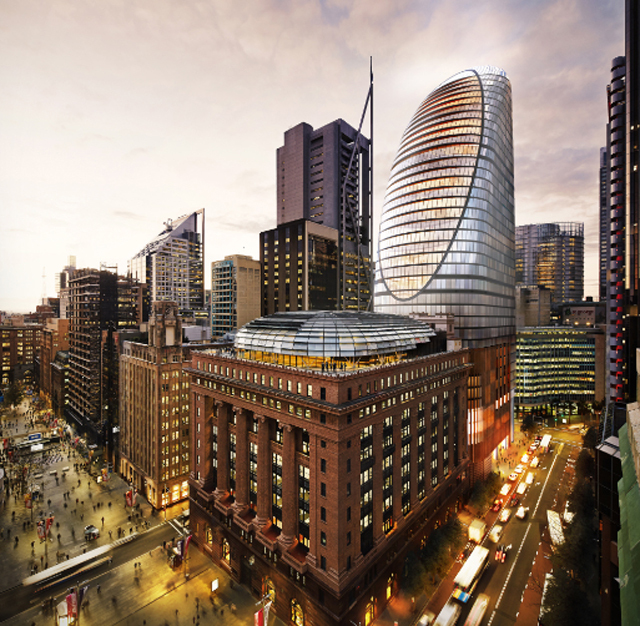 The Sydney Metro Martin Place Towers are a proposed development by the Macquarie group to develop 2 towers above the new Sydney Metro station at Martin Place including a public area & a transport interchange. It is expected that the development will include a huge public area below both buildings to accommodate both the transport interchange as well as a communal area for all the citizens, according to recent proposal drawings. 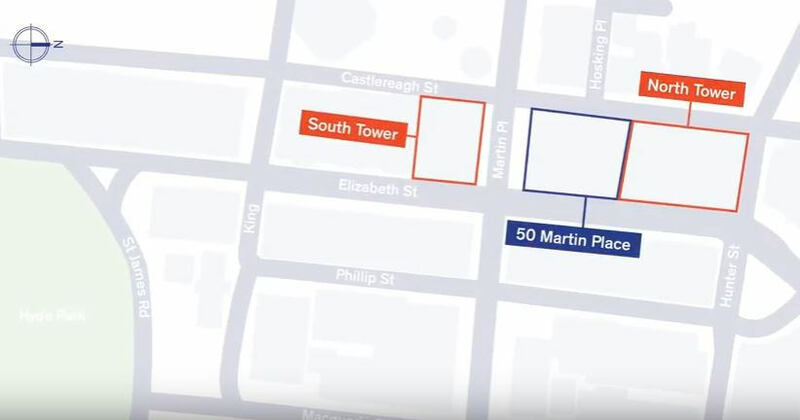 The proposed towers are yet to be confirmed however rendering have been released by Macquarie Group suggesting that the height of the north tower could be 39 levels coming to a total height of 145m & the south tower could be 32 levels and have a total height of 125m. The location could not be better & this development will make its mark on the skyline in the northern end of the CBD. It is expected that the development type of entire two towers will be for office use. 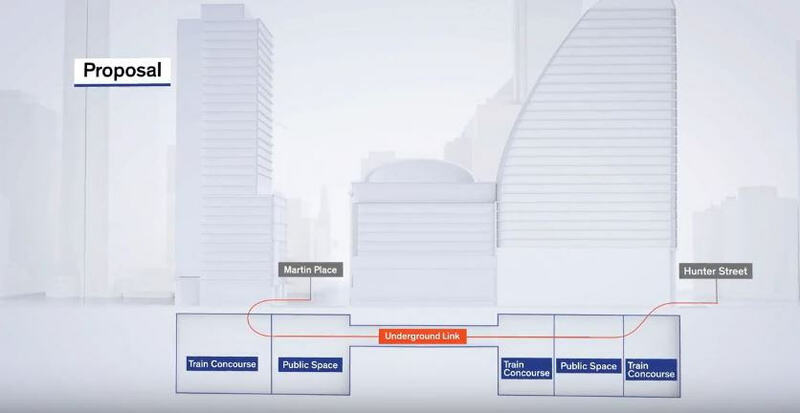 In the video above, it clearly shows just how open the public areas will be providing Sydney a unique underground experience which is anticipated to be the first of its kind in relation to the Sydney Metro project. The metro station at Martin Place will be the biggest station in the Sydney CBD on completion. The public realm will go 5 levels below ground yet still maintaining to bring in a flood of natural light. 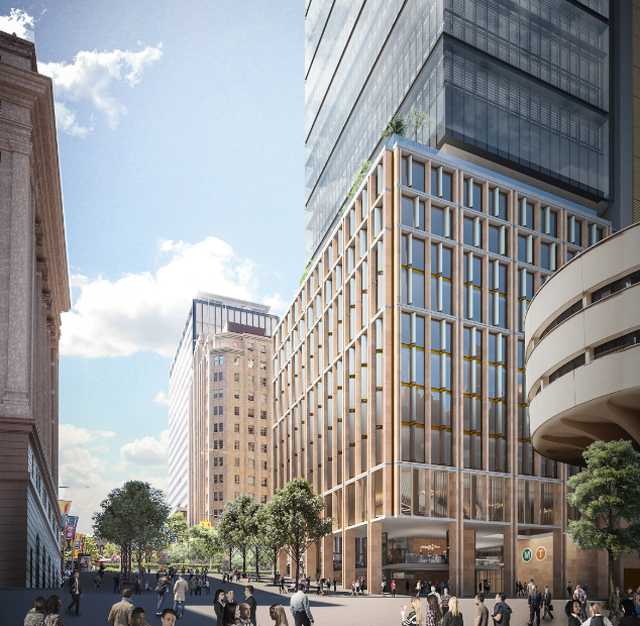 It is expected that the towers are built as part of the overall Sydney Metro Stage 2 plan which means that they must be built by the year 2024. This is good news as normally these developments have a lot of red tape holding up in councils however The Martin Placer Towers could be streamlined and it is expected that the proposal come before the NSW cabinet for approval.